BURNETT COUNTY -- HSBC has found homes for some long-term residents lately, so they are crossing paws that the second time is a charm for this girl, too. Frida was raised at the shelter and was featured a couple of months ago. 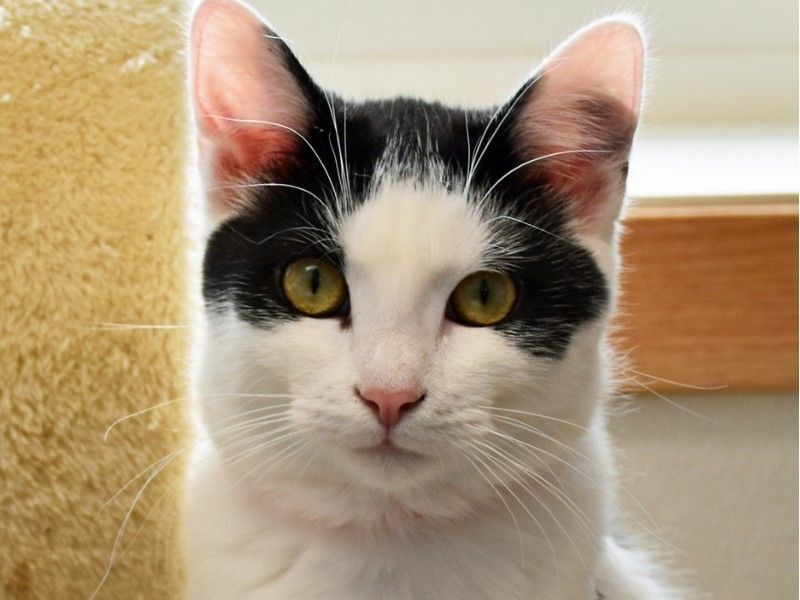 Unbelievably she is still at HSBC and is now a seven-month-old, approximately seven-pound black and white shorthair with hazel eyes. Frida is sweet, affectionate, and very people-oriented—purring while she follows you around. She also plays well with other cats and kids. Frida has also grown into quite a talker and will carry on a lengthy conversation with you. Come by HSBC; Frida would love to meet you! HSBC would like to take a moment and let you know about a new way to help the shelter - #GivingTuesday. Tuesday, Nov. 27 is marked as a day to flood social media with ways to help non-profits with their needs. If you have a presence on social media (Facebook, Twitter, Instagram, etc. ), #GivingTuesday is in your wheelhouse! Post an #UNselfie and challenge your friends to match your donation. Ten friends all pledge $5, the shelter gets to purchase a Woods light that helps them check for ringworm. Have a lot of friends? Forty friends each pledging $10 can allow the shelter to buy a tub of Panacur wormer, which can treat the next 70 dogs that come to the shelter. Donate by going to the website, then challenge your social network to join in! Every little bit helps. Ever wonder where those cash donations go? The simple answer is back to the animals, but let’s take a moment and look. The average cost for HSBC to take care of a dog is $20 per day; for cats, the figure is $10 per day apiece. Rolled into that number is the cost of utilities, food, supplies and labor. The shelter also provides necessary medical care and medications to their charges. Some dogs need extra help with their manners, which may add a training cost to their stay. All cash donations to the shelter help HSBC continue to provide a quality life for their residents until they find their purr-fect homes. Thank you for supporting the vital work they do!